Warned Collectors, a new publisher from France, has announced their first lineup of limited physical releases for Nintendo Switch. 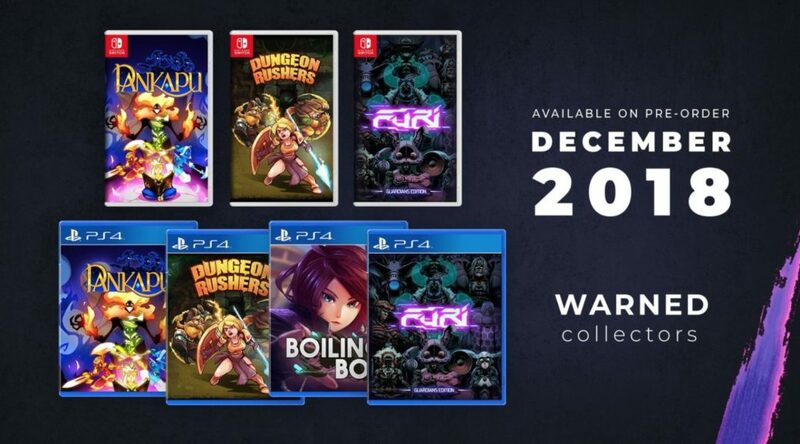 Pre-orders for Furi Guardian Edition, Pankapu, and Dungeon Rushers are scheduled to begin in December 2018 exclusively on the Warned Collectors website. Both standard and limited edition releases are in the pipeline. It seems Furi Guardian Edition is a new version of Furi, but we will have to wait for more details.